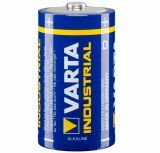 Alkaline Battery LR20, D, 1.5VDC, 16 500mAh, MONO, VARTA High performance alkaline battery 1.5 Volt (type D) VARTA Industrial with technology Zn/MnO2. Suitable for camping lights, toys, medical equipment, radio and etc. Diameter Ф32.3mm. Non-rechargeable. Made in Germany. 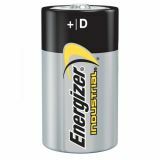 Alkaline Battery LR20, 1.5 VDC Alkaline Battery EN95, ENERGIZER Industrial size D with rated voltage 1.5 VDC. Alkaline Battery LR20 1.5VDC PROCELL alkaline battery for professional applications. Battery type D (LR20) with chemical composition Zn / MnO2. 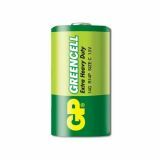 GP Greencell battery, 1.5VDC, R20P, D Battery size D, with a rated voltage of 1.5 V.